In early June 1967, the Six-Day War was fought by Israel and the neighboring states of Egypt, Jordan, and Syria. 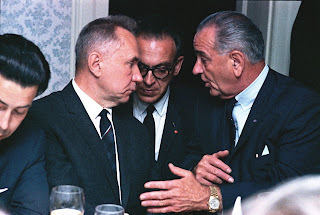 In response, President Lyndon Johnson proposed to meet with Aleksei Kosygin of the Soviet Union during his counterpart’s upcoming trip to the United Nations. In addition to the Middle East, there were other issues to discuss, such as nuclear arms control (China announced the explosion of its first hydrogen bomb that month) and the Vietnam War—Johnson was looking for ways to end the conflict in Southeast Asia. A menu from this meeting recalls a time when the superpowers engaged in a continuous process of summits and treaties called détente, trying to ease strained relations at critical moments. 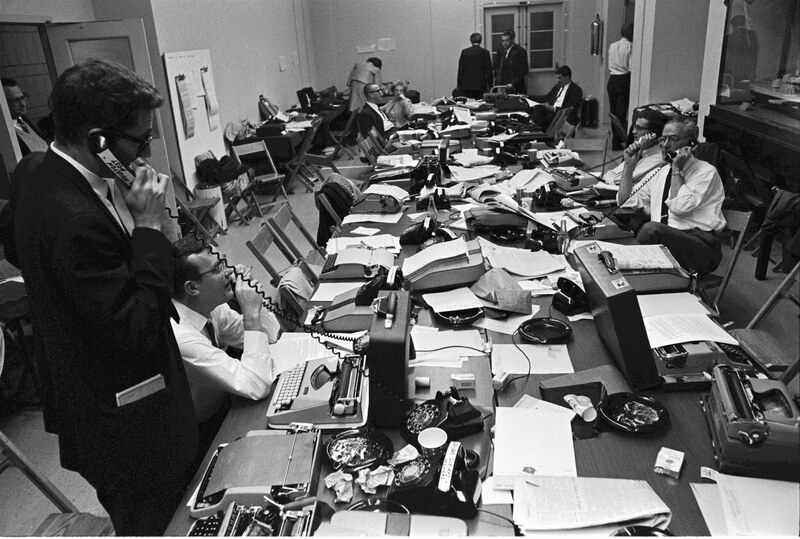 Some believe the adversarial relationship between the press and the White House started with Watergate, the political scandal that led to President Nixon’s resignation in 1974. However, there were already signs of strain in the 1960s when the term “credibility gap” came into widespread use, describing skepticism over the veracity of the Johnson administration’s public assessments of the Vietnam War. Although it may not be possible to pinpoint an exact date, trouble began soon after the first large-scale military deployment in March 1965, when the 9th Marine Expeditionary Brigade landed at Da Nang.